Lab Supply is proud to provide a great selection of safety supplies and personal protection equipment to animal research facilities. We offer a number of top quality products from Life Science Products including surgical caps, latex gloves, and now elastic band sleeves. 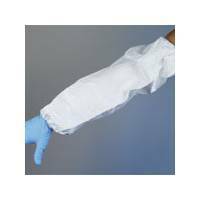 This sleeves are great for research facilities because they are disposable and low cost. We keep most of our PPE clothing and equipment stocked to provide our customers with a quick and easy delivery. If you would like to view our selection of safety equipment and PPE, then please click here to view our inventory. Here at Lab Supply, we want to make sure you find exactly what you are looking for. If you have any questions about Sleeves from Life Science Products or any other safety equipment we offer, then please click here to visit our contact page. We will be more than happy to answer any questions you may have.